days and then on to Charleston, SC. I’ll be back later to share pictures with you. the features this week. Enjoy…. A Walk In The Countryside to see more. you will follow along as they decorate their beautiful home. like we share a love for Cape Cod. I hope you will visit the featured blogs this week as well as the links at this weeks party. Hi Sherry! Just came on here by chance and saw you've got the party up early today. I get to be first! Wahoo! Love the features you chose. Yay Summer! …and then my thumbnail didn't work so I look like I can't count. 🙂 Silly me. Hi Sherry! 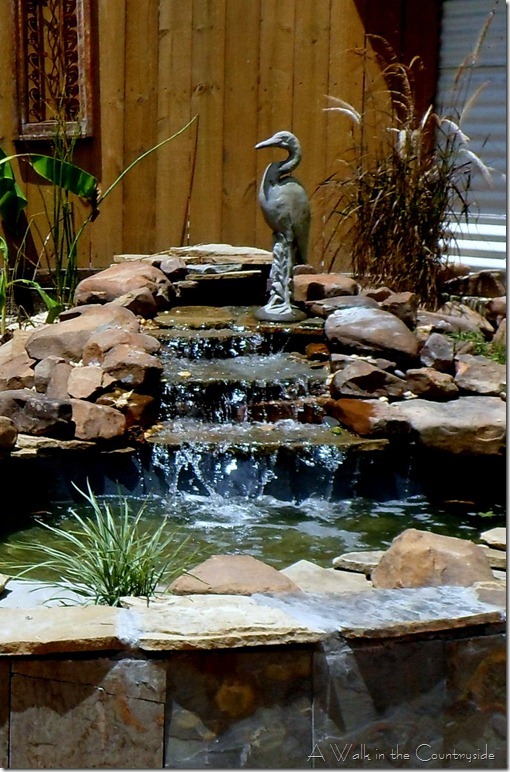 Thank you so much for featuring my waterfall! and for hosting! Love your features, especially that beautiful waterfall. Hope you are having a great vacation! What fun features! The chandelier is so amazing! Hope you will drop by and enter my fun cheese platter giveaway. It's really unique! Thanks for hosting Sherry! Have fun with your grandson and your family! Enjoy your time away, too. Don't you just love summer? 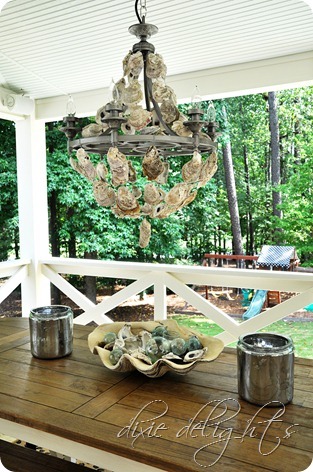 Sherry, Thank you so much for featuring my chandelier! Hope you're enjoying your time away! Thank you for hosting! Hope you have a great time and can't wait to see vacation photos! Thanks for making the party happen despite your busy schedule. Hi Sherry, I know you enjoyed your vacation in Destin. I'll just bet you drove over to Grayton Beach and Seaside to visit some of our favorite haunts! Hope to be going down again soon. Thanks for hosting, great features. Sounda like you're enjoying yourself dear Sherry! Great features. Thank you for hosting and having me. Have a great trip, and enjoy the family. Thanks so much for hosting. Thank you for hosting such an awesome weekly link party! Great features!!! Thank you for hosting. I joined your party & am a new follower! Wonderful features and a great party too. Thanks for hosting Sherry! Thank you so much for hosting. I just found your blog and love it. I am a new follower. Enjoy all of your travels. Sounds like so much fun, especially spending time with the grandchild part! 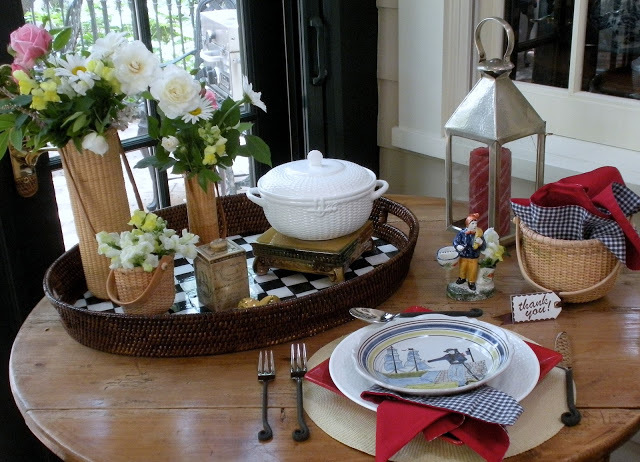 The Nantucket tablescape is beautiful. Love the silverware! But what really caught my eye is the table itself. I've been wanting a great looking wood table. Thanks so much for hosting! Sounds like you're having a good time away. Have fun at St. Augustine and Charleston. We just got back from St. Augustine. Had a great time. I posted pics on my blog. I'm already wishing I could go back. Hi Sherry, Thanks so much for hosting! Thanks so much for hosting and have a fabulous week. Good Morning! We have had almost a month of 100 degree temps. I have been experimenting with tasty, low calorie beverages-and today, I'm sharing my Fresh Lime "Gritzer (#133). Have a good morning and thanks for hosting the party again! Thank you for hosting. Have a great day. Sherry, I can't wait to see your pictures from your trip! I love St. Augustine but am just dying to go to Charleston! (Possibly this fall!) Great features – thanks for hosting again! Love the Summer Theme features. The waterfalls & pond are just gorgeous! Have a lovely vacation. Enjoy! & take care. Thanks Sherry for hosting a fun party! Sherry, thank you so much for hosting this party! I hope you're doing well. It's been awhile since I joined you for the Open House, and I'm glad to be here today (even though I'm late!). Blessings to you! I always get so much inspiration from your parties Sherry — thanks for hosting! Linking up and I am a new follower. Love your site!